Avatar: The Last Airbender has infested my Tumblr dashboard for long enough. 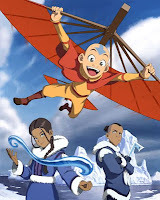 Netflix appears to be obliging my Canadianness finally, by providing more interesting content, so the girls and I are working our way through an Avatar marathon. They whined a bit when I told them that no, they couldn’t watch their current Netflix favourites, Ruby Gloom and Sonic Underground, but they are quite enraptured now and have already started air bending around the house. This will be their second anime series, after Sailor Moon (which I'm pleased to learn is being rebooted next year), though I don’t think they recognize it as a genre just yet. I haven’t been able to find them a good stream of Magic Knight Rayearth, which had been next on my list for them. But that’s okay. Avatar will do and I look forward to Netflix recommending the M. Nightshalala movie once we’ve completed the series. lolno. Speaking of anime, I stumbled on the X-Men Anime and again Netflix obliged. Unfortunately, I was unimpressed, first by Storm and then by Scott/Wolverine. 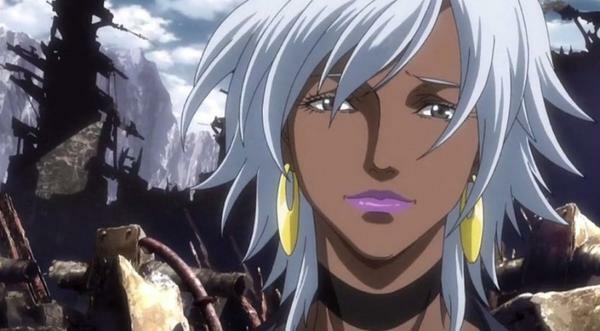 Storm’s characterization really bothered me. I have never pictured her as one to boast and show off in front of humans and I certainly don’t care to see her as a pouty thing, coming between Scott and Logan’s little man fight. Granted, I only watched a few episodes, so maybe she improved. Perhaps Scott did as well, but this portrayal was far too much of the two versions of Scott I have hated: The moping Jean lover and the Schism jerk. Again, I didn’t watch enough of it, but it was enough to just plain turn me off. Instead, I switched to the Astonishing X-Men Motion Comic. Mostly just to enjoy Emma/Kitty snark. Hmm, I might as well include Dragon Age: Dawn of the Seeker, which digitaltempest kindly shared with us., resulting in much amusement. Once we got over our laughter at blood magic and Care Bear stares, we concluded that it actually wasn't as bad as we feared. It does confirm that the Dragon Age series is pursuing the Mage-Templar War since that pesky Blight is apparently over and the Grey Wardens are busy doing secret things. There are still a lot of canon and timeline questions that this raises, but I guess we're just going to have to wait and see. 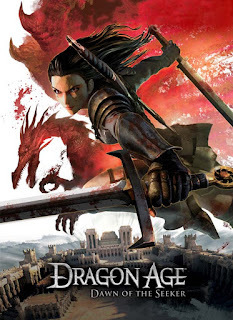 Speculating when it comes to the ever changing canon of the Dragon Age storyline only leads to headaches. Meanwhile, a number of X-titles are ending in the next few months, paving the way for a reboot that combines the timelines of the X-Men and Avengers. By bringing the original X-team up from the past. I'm already shaking my head at this concept and our fears are expressed here. It could be great. It could be the kind of reboot that DC should have had, with less confusion involved that does serve to clearly connect the comics to the movies in a way that does not scare new readers, but does not alienate the old ones. Or it could just be yet another tangent on the already fucked up X-Men continuum timeline. Either way, I'm going to be stupid and buy the books hoping that this will be the return to the Marvel stories I knew and loved, just like I will be returning to Catwoman because Ann Nocenti is taking over. My inability to quit Bioware continues. I tried to work on my Trooper earlier this week, but got tired of killing all the things in order to level. I semi-ragequit and decided I was done with it, but I'm not. I'll go back until my subscription expires to try to finish my storyline. 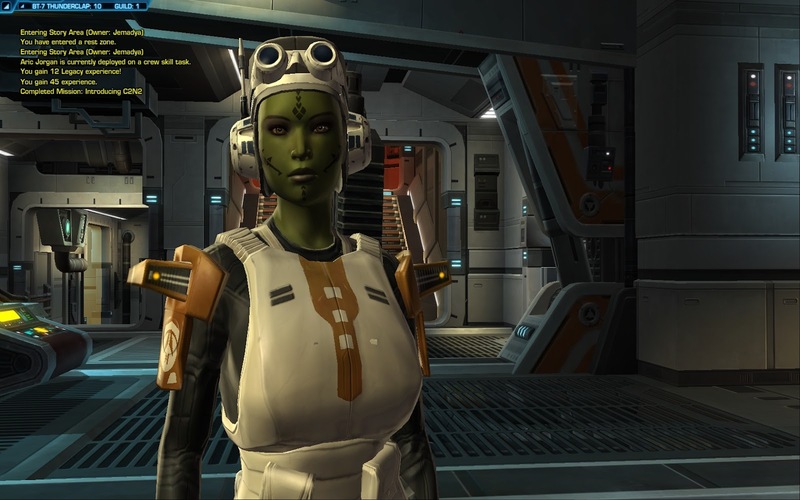 I've got credits now so I'll upgrade my ship and try to earn experience points in other ways. I need to get back to KOTOR2, but meanwhile, I'm still playing Mass Effect 3, attempting to get my final Shepard to completion. It's a bit of a struggle because I just don't love her the way I do my other two, but every time I find something new as a result of different decisions made with Test Shepard, I perk up. And then last night I learned about the leaked DLC rumour, and digitaltempest and I went off on a whole new tangent when we found the script about the reapers and Harby and John the Reaper and Levi's soap opera and and and... just shut up and take my money, Bioware. I also read some books and comics. And then there was Tera. At least I can say that I was not playing solely playing Bioware games this month. Shut up Batman. You'll get your turn. Just so you know, Avatar has a new series called The Legend of Korra. It doesn't feature any of the old crew other then a few guest appearances by some of them. As for X-men. I don't think they did too bad with wolverine. I've never really been a big fan of Cyclops anyways. Between his controlling attitude and just general being a mopy idiot it's really hard to love the guy in any series.